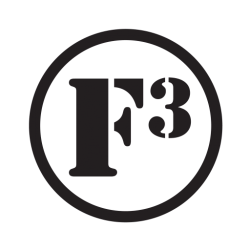 F3 in the Golden State. Home of “how it went down! !” Aye!! You Q’d. Share your beat down. Jacobs ladder with Burp-jacks up to 7. Mosey back to the goal line. 25s on the football field. From goal line, sprint to the 25 and back, sprint to the 50 and back, sprint to the opposite 25 and back, sprint to the opposite goal line and back. High Knees to the 50 and back. 25s on the football field. This time, backwards sprint. 25s on the football field. This time bear crawl forward and crawl bear coming back. Slow stretch walk to opposite goal line and mosey back. From the goal line: 20 SSHs, High Knees to 50 and back, 20 SSHs, Side Shuffle to 50 and back, 20 SSHs, High Knees to 50 and back, Side Shuffle to 50 and back. Week 3 Iron Pax challenge. 3. Black Jack – 1 coupon squat, coupon carry across football field, 20 “coupon Jax” (hands on the coupon in an up merkin position, legs move in side straddle hop pattern. Done in a ascending/descending fashion for rep count. Hammer Time as the Pax of 10 welcomes F3 brother Pitino from STL. Indian Run Mosey to Soccer Sport Turf field. 2 Indian run laps around field. High knees to the midline and back, side shuffle to midline and back, high knees to the midline and back, side shuffle to midline and back. Run to first line, perform 10 Merkins, run to next line, perform 10 Burpees, run to next line, perform 10 air squats, run and arrive at opposite goal line and perform 10 LBCs, crawl bear back to the original goal line. Rinse and repeat 3 X.